A condiment that goes hand in hand with hotdogs and hamburgers, ketchup certainly gives the impression that it is part of American culinary tradition. However, this incredibly popular condiment is in fact the descendant of a spicy Chinese sauce called ‘kê-chiap’ that the British explorers brought back from the East in the 18th century; it is used in seasoning and is made from the brine of pickled fish. As the British found it too strong for their palate, they developed sweeter versions by adding tomato sauce, mushrooms and sugar. This is how ‘kê-chiap’ came to be known as ‘Ketchup’ in the West. It’s only in the 19th century that a person named Henry John Heinz started to industrially manufacture ketchup in the United States. Many varieties of ketchup that mix different flavourings and condiments are now available in the market. But the basic ingredients remain the same, i.e. tomatoes, vinegar, sugar, salt and spices. Compared to other commercial sauces like mayonnaise for example – which contains lots of fats – ketchup is healthier. In fact, the presence of vinegar and sugar makes the use of additional preservatives unnecessary. The red of the tomato is enough to colour the product; therefore adding any colouring also becomes superfluous. 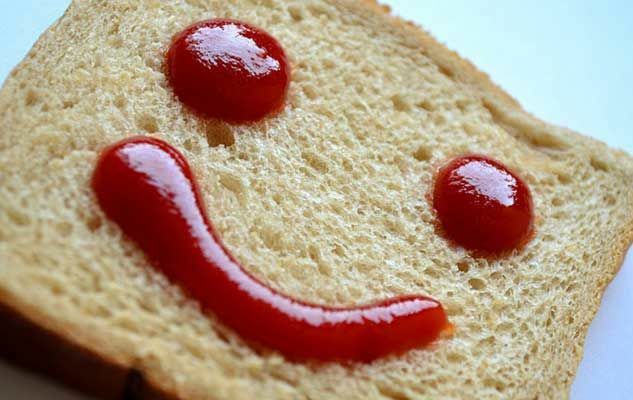 Ketchup is also a source of lycopene, an antioxidant that is very much in vogue because it protects against certain types of cancer, especially prostate. However, it does contain quite a high quantity of sugar and salt, so always consume it in moderation! Originally published in the Journal de Montréal on April 9, 2011.